Easy and Customizable UI provides ease to your clients. Eye Catching look with elegant designs. 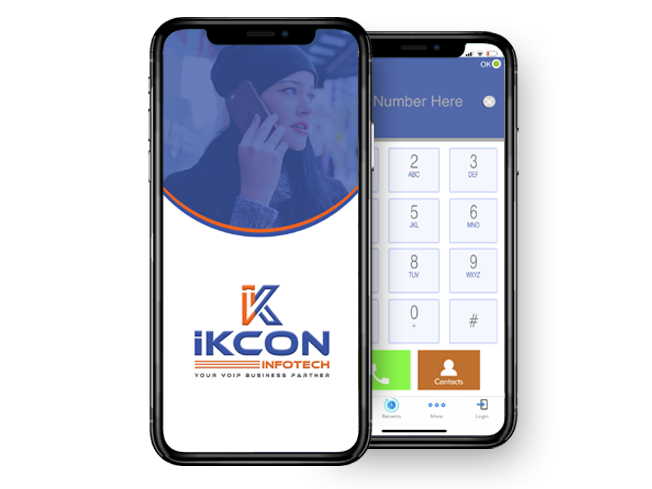 iKcon Mobile Dialer is a SIP Softphone which permits VoIP service providers offer all the progressed VoIP calling components to their clients for making long distance VoIP calls from cell phones. 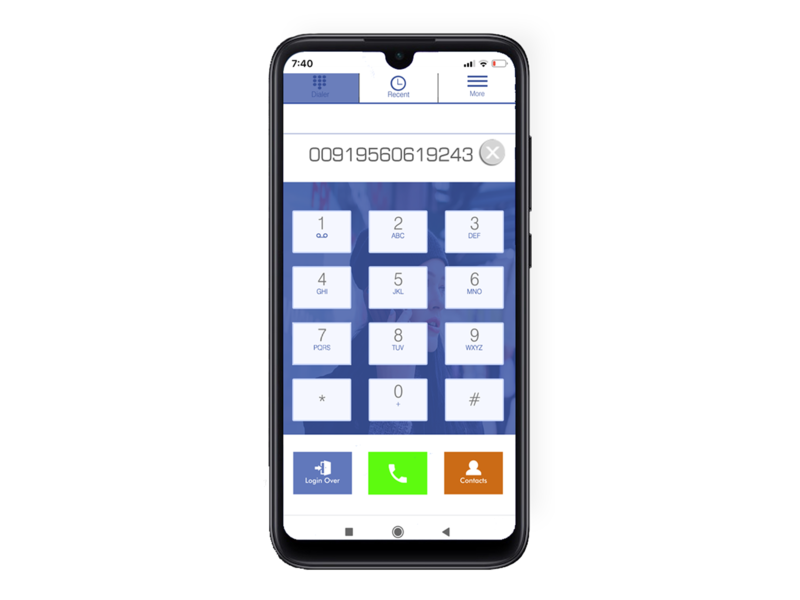 Good with all standard SIP Softswitch, this portable dialer woks in Android, IOS, Windows and Symbian stages while supporting sound and video call with Instant Messaging (IM). Being a VoIP Service Provider, you can run this Softphone under your own image name furthermore completely modify as indicated by your assorted business needs. Your customer can registered via mobile number and receive password on their mobile for sign up. App displays Real time Rates and balance on dialpad. Supports all kind of calling card, Pinless and Pinbase both. Transfer call to another user directly. Put call on hold when another call is in waiting. Works perfectly with 3G, 4G and via WiFi. Put the caller on Mute/Unmute. Display complete call History list. Can make multiple calls, like conference calls, transfer calls. Your company’s logo along with your website’s details integration. Advanced call statistics gives your business valued call management. There is no limit for users, can use for unlimited users. Instantly registered and fast call connectivity. Can be customized as per business need and features can be added. Can Generate bulk batch of Calling cards. Can generate bulk customers / resellers / agents without any limit. Customize Email Templates as per your needs. Record All calls from customer. Can add multiple IP’s for Incoming calls. Can I use this dialer with my own Softswitch which I am currently using? Yes, You can use iKcon Dialer with any Softswitch, It supports all the softswitches. Can I get this dialer with my Logo? Yes, You can get Complete White Label System along with your Logo and Branding. Is there any limitation in Concurrent Calls with this dialer? No, There is no limitation, Entirely depend on Softswitch you will be using at the backend. Can this be customized as per my requirements? 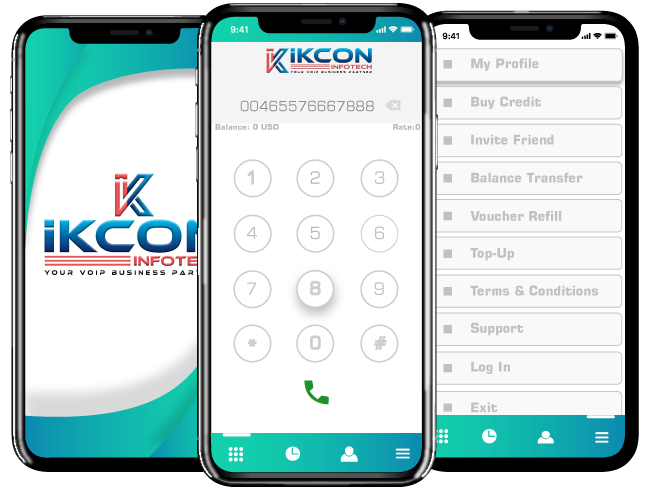 Yes, iKcon Dialer can be customized as per your requirements and needs. Does iKcon Dialers supports calling via 2G? Yes, It supports calls via 2G, 3G, 4G wifi. Can iKcon Dialers integrate with phonebook automatically? 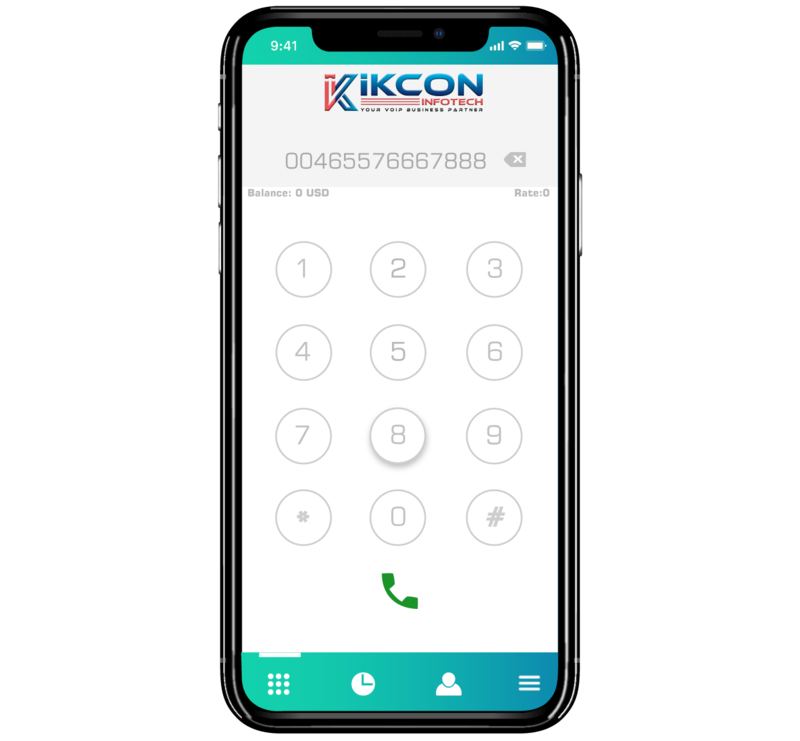 Yes, iKcon Dialer integrate with phonebook automatically once the app will be installed on Android or iOS device. Does it support Video Calling and Instant Messaging? Yes, It does support Video calling and Instant Messaging if your switch has this feature.